The New England Compounding Center in Framingham voluntarily ceased all operations on Wednesday. The number of meningitis cases linked to a Framingham pharmacy nearly doubled over the weekend, as the company issued a voluntary nationwide recall of every product it makes, some 1,200 drugs and medical products. The Centers for Disease Control and Prevention reported on its website Sunday that the nationwide outbreak of a rare, severe form of fungal meningitis has sickened 91 people across nine states. Seven of the afflicted people have died. On Friday, there had been 47 cases, five of them fatal. The illness is believed to be caused by tainted steroid injections for back pain. The New England Compounding Center, the Framingham pharmacy whose products have been implicated in the outbreak, issued a statement about the recall Saturday, saying: “This action is being taken out of an abundance of caution due to the potential risk of contamination, and in cooperation with an investigation” by federal and state health agencies. A preliminary investigation by the Food and Drug Administration has identified a steroid made by New England Compounding as the potential source of the outbreak. The Framingham company implicated in a nationwide meningitis outbreak apparently took thousands of orders from doctors, clinics, and hospitals in at least 23 states. The company has posted a 71-page list of the products being recalled, which includes some common drugs and medications, including the pain reliever acetaminophen, blood-pressure medication clonidine, rubbing alcohol, and mouthwash. Products from the pharmacy can be identified by markings that indicate New England Compounding Center by name, its acronym NECC, or the company’s logo. The company’s statement said customers are being notified of the recall by fax. A spokesman for the pharmacy declined to comment further. The company has said it is cooperating with the government agencies investigating the cause of the fungal meningitis outbreak. In a statement Sunday, Dr. Madeleine Biondolillo, director of the Bureau of Health Care Safety and Quality at the Massachusetts Department of Public Health, said teams from the state and the FDA have been investigating in Framingham for the last five days. “Federal and state health officials continue to recommend that health care providers and consumers not use any product that was prepared by NECC,” Biondolillo said. The CDC and the FDA said on their respective websites that they are aware of the recall. The firm voluntarily ceased all operations and surrendered its license to the Massachusetts Board of Registration in Pharmacy on Wednesday, according to the FDA, which had recommended previously that none of the pharmacy’s compounded products be used. Unlike some other forms of meningitis, this particular infection is not contagious. But the agency expects that the number of people sickened by fungal meningitis because of exposure to the potentially tainted medicines will continue to grow, he said. Many of the people who have contracted the infection, which attacks the brain and spinal cord, remain ill.
“This is a situation that concerns the CDC, the FDA, and all of the other state health departments we’re working with,” Allen said. Erica Jefferson, a spokeswoman for the FDA, said she did not have information on when the investigation into the possible link between the steroid and the outbreak is ongoing would conclude. The steroid, methylprednisolone acetate, as well as roughly 35 products the pharmacy prepares for injection in and around the spine had already been recalled. Health officials have been trying to contact anyone who may have received an injection. Infected patients received drugs from three lots of methylprednisolone acetate, containing 17,676 one-dose vials that the company shipped to 75 providers in 23 states, which are listed on the CDC website. About 32 cases, or one-third of the cases nationwide, including three deaths, have been reported in Tennessee, according to the CDC. Another 20 cases have been reported in Michigan, 18 in Virginia, and the others have been in Florida, Indiana, Maryland, Minnesota, North Carolina, and Ohio. The CDC said its guidance to consumers has not changed. 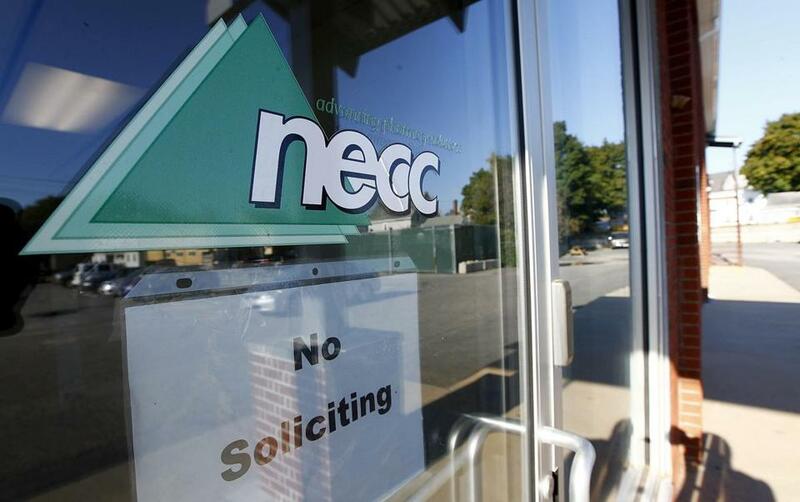 “Patients who feel ill and are concerned about whether they received a medication from NECC should contact their physicians,” the agency said on its website. Allen said that physicians who administered any injections of the drug should contact those patients. Symptoms of meningitis include fever, new or worsening headache, nausea, and numbness and slurred speech similar to a stroke. Adverse reactions or quality problems experienced with the use of any product may be reported to the FDA’s MedWatch Adverse Event Reporting program, the pharmacy statement said. The Globe previously reported that New England Compounding has been investigated by state and federal regulators several times, in some cases for overstepping its bounds as a compounding pharmacy and venturing into manufacturing. The FDA received three complaints about the company in 2002 and 2003 involving its preparation of methylprednisolone acetate. One of the complaints concerned lapses in sterile procedures, which led to investigations by the state and the FDA, said Massachusetts health officials. A complaint this year about the potency of eye medications remains under investigation. During an inspection in fall 0f 2004, the FDA found numerous problems at the company, which were detailed in a 2006 warning letter. Matt Rocheleau can be reached at matthew.rocheleau@globe.com. Travis Andersen can be reached at tandersen@globe.com. Follow him on Twitter @TAGlobe.